The Outdoor Activities Team is around to encourage and enable leaders to get their units out and about – be it sleepovers, camps, splash days or incident hikes. We all know that spending time with our girls away from the weekly meetings is when you really get to know them and we want to support you so you can do this with safety and confidence. The O A team can advise you on risk assessments, ratios, first aid and walking safely. We can suggest campsites that you may not have heard of and venues for a mad evening of fun. 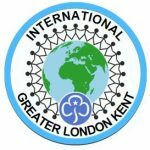 In the year of the Big Brownie Birthday there are a vast array of activities planned from the county wide trip to Drusillas, to District fun days and Division sleepovers for Brownies. Anxious about what you need to know and do? Ask us and whilst we don’t know all the answers we will probably know someone who does.